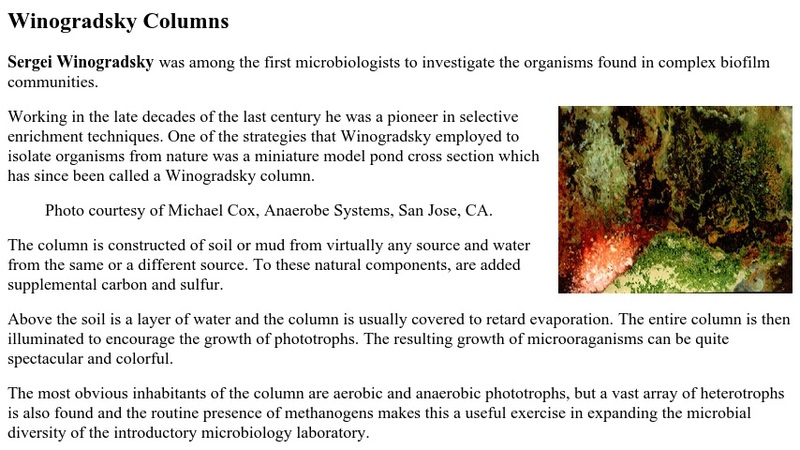 This is an exercise about Winogradsky Columns with emphasis placed on the formation and properties of microbial biofilms. It includes background reference material, a field/lab exercise, and several applications. Applications include methods for sampling column layers and a description of how to measure the electro-chemical gradient that develops within the column. Scientific illustrations and images are included as visual references.